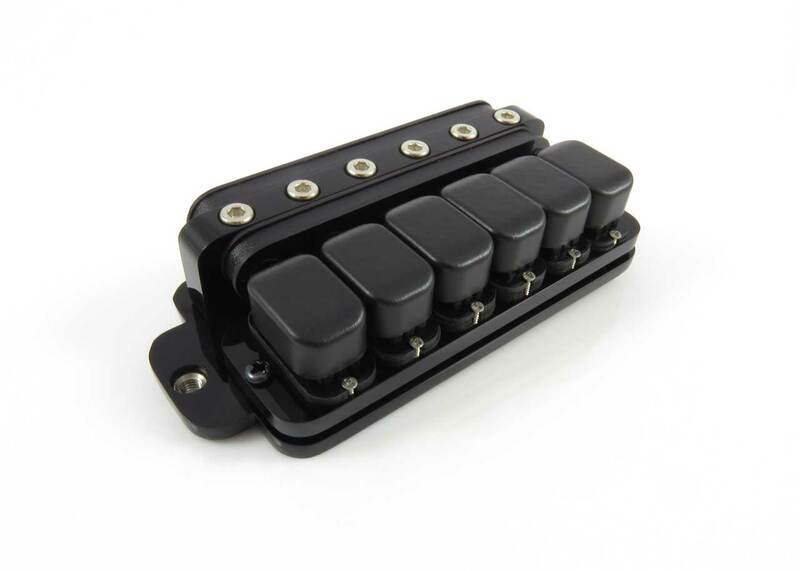 Last time, we designed a a common baseplate for the Nu and XR pickups. I think it looks good! Check it out. You have independent height adjustment for the Nu which you want to be as close to the strings as possible (within 1mm to 2mm) to minimize crosstalk. The whole thing fits a standard PAF profile.